Rebecca Dovi is a ball of energy. She is full of ideas and always doing cool things. When I last interviewed her (http://blog.acthompson.net/2013/08/cs-educator-interview-rebecca-dovi.html)she was a classroom teacher. Today she is the Director of education and co-founder of CodeVA, a non-profit CS education effort in Virginia. I thought is was time to catch up with her is learn more about what she is doing. Tell us a little about CodeVA and what your goals are? We are a statewide non-profit with the mission of bringing computer science education to all kids in Virginia. We are the first state in the country with mandatory computer science standards. The legislation that passed in 2016 makes computer science co-equal to the other four subjects. In other words computer science must be integrated with math, science, language arts and social studies from kindergarten through eighth grade. This includes coding, and non-coding computer science topics. Our goals are to support schools and teachers with the training and resources needed to support them as they implement the new standards. Why did you move from classroom teaching to starting something like CodeVA? I honestly never thought it would happen. My husband is our Executive Director. 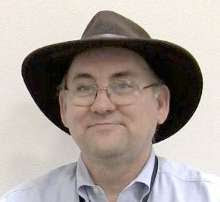 In his former life he was an investigative journalist, and saw the impact of poor access to computer science on the communities he covered. When he first mentioned me leaving and us forming a nonprofit I was not exactly enthusiastic about the idea. He made the case - and he was right. Over the last 7-8 years of my classroom life I was doing more and more teacher training. On top of teaching I was our district's computer science lead and doing curriculum and professional development. I also worked for the local NMSI group running AP Computer Science A training across the state. I developed a MOOC for AP CS A, which has been 10% of the growth in APCS A over the past three years - including a lot of the increase in the number of females taking the exam. Seeing the impact that these programs had on the number and diversity of kids able to access computer science was what finally convinced me we needed to try to do this at scale. I miss my classroom, but not including this year (we don't collect demographic data until mid-October) our teachers have taught over 21,000 middle and high school students computer science. I never could have done that from my little classroom. At CodeVA you are doing a lot of teacher education. How is preparing teachers to teach different from teaching students? Seriously though, adults really need to buy into what you are presenting. After 20 years in the classroom I experienced a lot of professional development, and very little of it impacted my classroom practice. 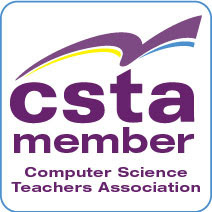 Now we are able to deliver professional development that really meets the needs of computer science teachers. We have a group of 20 experienced facilitators, from elementary all the way through high school. Since 2014 we have trained over 330 middle and high school teachers and almost 1000 elementary teachers. The best part is watching the community the grows from the teachers in our programs. At CodeVA you also have student programs. What age groups are you working with and what are you doing with each age group? We do camps and programs for kids from first through twelfth grades. All of our programs are arts-integration. Kids spend half their time on computers, and half on hands on activities that support learning the concepts of computer science. As an example one of our most popular camps is called Critter Code. The students participate in a design process to create their own sock animal. They learn Scratch, sew their animal, and by the end of the week they use their sock animal as the sprite in their Scratch story. We've had everything from mosquitoes to falcons, they get really creative. We partner locally in Richmond VA with various organizations in town to bring computer science programs to kids that wouldn't otherwise get access. We are very proud of our numbers. This summer our programs were 55% underrepresented minorities, 49% female, and 35% underrepresented minority female. Out of the kids we served 44% were able to attend through needs based financial aid. This past year we were awarded a Google Rise grant to build an online platform to share out our camps to schools and programs across the state. This is especially important as districts move to incorporate computer science into their core curriculum. These camps give kids more access to computer science,and allow the teachers to practice and try out teaching computer science outside the pressure of the classroom. For high school students we also run a Computer Science Honor Society. We had a lot of requests from our teachers who were required to run co-curricular clubs. Central to the program is the completion of service hours. These hours help teachers run programs, recruit and do tutoring programs in support of computer science. As an example the students from Powhatan HS from a rural district with only one high school completed over 1700 hours of Computer Science Community Service. As a non-profit you must rely on external support. Who is supporting your work these days? We have been very fortunate in our partners. We work closely with a local foundation, the Robins Foundation, that has supported our programs since 2014. In addition we have great continuing corporate partners such as Capital One, Car Max among others. Grants like the Google Rise program have really supported spreading computer science across the state. We have worked closely with Microsoft on our legislative agenda and they have been invaluable in supporting our efforts. This summer we were awarded a grant from the The Tobacco Region Revitalization Commission grant of $361,625 to bring computer science programs to the most rural parts of the state. This is especially exciting for us as we move to learn about the unique needs of teachers and students in this part of the state. What else should people know about you and what CodeVA is doing? We have three really exciting things on the horizon. First, we have been working very closely with our department of education, and the computer science standards are about to come out of draft form and be finalized. Second, to support the new standards we are currently piloting a K5 Coaches Academy that prepares local school district personnel to be elementary computer science coaches and deliver professional development in their home districts. This past summer eighteen people participated, and next summer we will be running multiple cohorts across the state. And finally, to support districts we are working to create district Computer Science Roadmaps. Districts give us data, and participate in interviews, then we supply them with a list of suggestions as they work to implement the new computer science standards over the next few years. We are especially looking at what programs and systems districts already have in place that can be used to support the effort.